The first couple of things you learn in BJ jas a white belt is keeping your posture upright and breaking all grips. Granted, at that time this only refers to being in someone’s closed guard. As time goes on, however, these principles carry over to virtually every position. Not only top but bottom positions also work best when you have good posture and the opponent has no grips. To that extent, there are two main grip fighting approaches – one for the Gi, and another for No-Gi. From the two, dealing with Gi grips and establishing strong ones is arguably the more complicated. When you have the luxury of having an Olympic Judo medalist and BJJ black belt doing the explaining, you know you’ve struck gold. The latest Travis Stevens DVD is all about the grip fighting game of Brazilian Jiu-Jitsu. And you should hurry up and get it now! The thing with grips is that when we’re white belts, we don’t get them seriously until we figure out we need them. By then, it’s a tournament and we’re already too late. 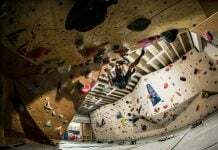 What’s even worse is that once we figure out we need grips, we think we learn it all by drilling a few grip breaks as beginners. The depth of the BJJ grip fighting game only becomes apparent somewhere around the purple belt. It is then when most grappler really looks into it and start learning how winning the grip fight can win you a match. 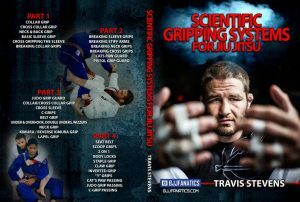 “Scientific Gripping Systems For Jiu-Jitsu” is the latest Travis Stevens DVD, that contains the answers to all of your questions. And the best advice we can give you is to pick it up as early as a white belt! BJJ is an art that is very versatile when it comes to fighting on the ground. However, that means that you have the ground on your side if you know how to use it. This often lets people get away with having poor gripping strategies, at least as white/blue belts. 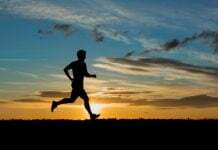 There’s also the factor of using your limbs, head on any other body part to help you achieve your goal. 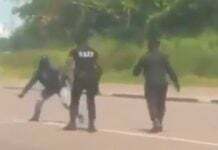 Well, other grappling martial arts, especially those that focus on the standing part of grappling are not so easy to “cheat”. 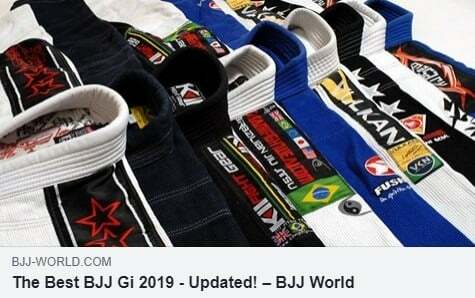 Judo is the closest to BJJ when it comes to wearing the Gi. In Judo, the goal is to throw your opponent to the ground without ending up on your back. In order to achieve this, you need a solid connection with your opponent. The best way to achieve a dynamic connection is by engaging with your hands first to establish control points. These points of control are grips, and their role is a crucial one in both Judo and BJJ. In order to be able to throw someone to the ground, first you need to grab them. Establishing grips means you can get them out of balance, break their posture and set them up for a throw or trip. Furthermore, grips allow you to change what you’re doing and surprise the opponent midway through a technique. They also provide you with leverage points and subsequently, control points one on the ground. And, the only thing the opponent wants to do si brak your superior grips and get their own. This is where Judo excells, since there is no way to get someone down without grips. All the Judo grip fighting secrets are exactly what you’ll learn in the Travis Stevens DVD that we have on review today. 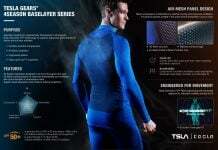 Imagine a grappler that is as proficient in Judo as he is in BJJ. Now imagine one even better at Judo than he is at BJJ. Well, there’s no need to imagine him, as he already exits. Travis Stevens is a Judo Olympian who got a silver medal at tethe016 Olympics in Rio. He is also a Renzo Gracie black belt, training n the blue basement with the likes of the Danaher Death Squad. in other words, he’s an overall grappling badass. The 32 old Washington native is known for training with one of the most intriguing Judo coaches of all times – the legendary Jimmy Pedro. Stevens is often seen as a wild card, as he’s vast Judo experience helps him dominate in BJJ and vice versa. He is a 5th-degree black belt in Judo, making him the absolute authority on anything Judo related that’s applicable to BJJ. During his 2016 Olympic crusade, Stevens put his immense grip fighting knowledge to great use, losing only in the final, and not by much. After winning the medal in Rio, he decided to become a professional gambler, competing mostly in BJJ during the past couple of years. With notable matches in organizations like Copa Podio and Fight To Win, Travis most certainly knows how to put his Judo knowledge to use in Jiu-Jitsu. He’s also relentless when it comes to teaching, both live and via instructionals. 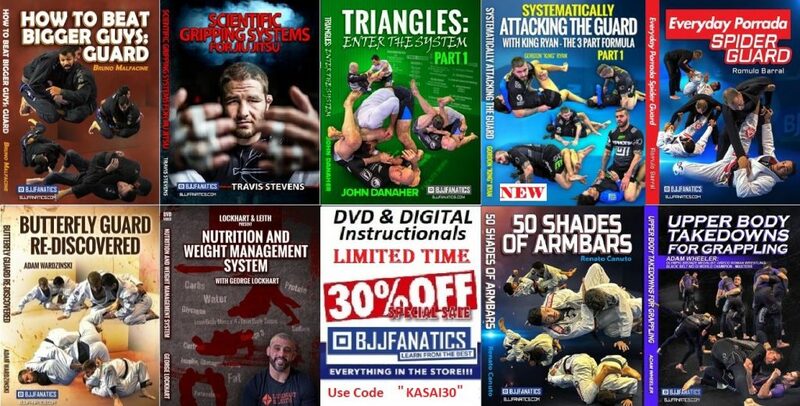 the “Scientific Gripping Systems fro Jiu-Jitsu” Travis Stevens DVD is just the last in a long line of high-quality instructionals. If you own any previous Travis Stevens DVD, then you know exactly what you’re in for. After all the guy has been taught by Jimmy Pedro, Renzo Gracie, and John Danaher. That, in itself, means he can teach better than 90 % of grappling instructors out there. Plus, there’s his lifelong Judo experience at the highest levels possible. There’s not much Travis doesn’t know about grappling. understandably, when the subject is something as essential as grip fighting, one DVD just isn’t enough. So he has 4 for you, neatly organized as a complete system. The “Scientific Gripping Systems fro Jiu-Jitsu” Travis Stevens DVD is a 4 volume set that goes over every possible grip combination you might encounter in Gi Jiu-jitsu. It is divided into specific chapters, all of which come together in a complete system at the end. While Stevens outlines some of the very fundamentals of BJJ grip fighting, he also goes into advanced strategies and concepts. There are also other innovative gripping sequences he has devised himself. At about 10 lengthy chapters per volume, there’s a real wealth of information hiding in this Travis Stevens DVD. The very first volume of the “Scientific Gripping Systems fro Jiu-Jitsu” Travis Stevens DVD is all about basics. And it doesn’t get more basic than collar grips and sleeve grips. In the opening chapter, Travis outlines everything there is to know about the collar grip. You’ll find out here that there’s much more to just placing your arm o someone’s collar. Grip depth, collar side, the height of your grip, the grip you’re using – all make a tremendous difference in the end result. 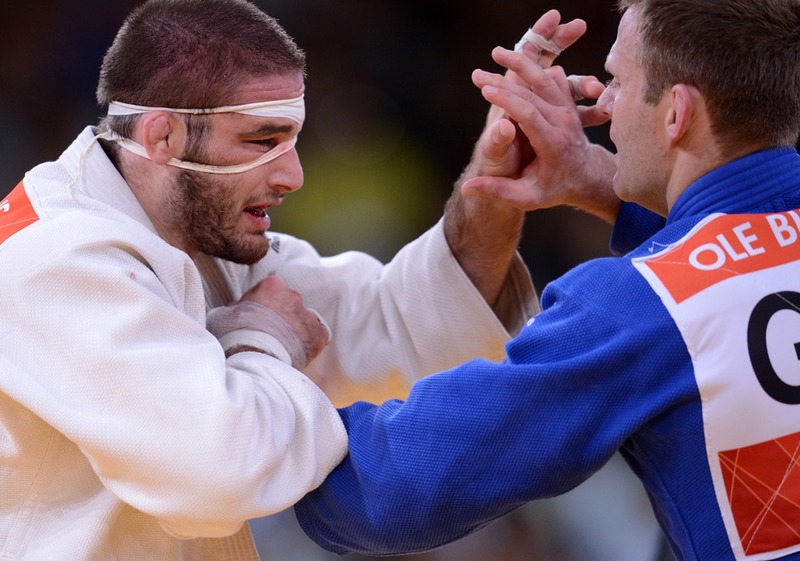 The sleeve grips are another staple of both Judo and BJJ. Here, Travis explains the fundamentals of the sleeve grips. A thing worth mentioning is his concept of when and how you should grip the same side sleeve, and when to go for a cross grip. This is going to spare you a lot of headaches further down the road, so make sure you really grasp this part of the DVD. In between the collar and sleeve grips, Travis also covers neck grips and grabbing the back of the Gi. The second volume of this BJJ instructional is all about getting rid of grips. As you know if you’ve done at least one roll, Gi grips are notoriously difficult to break. this is particularly true when you’re up against a very skillful Gi grappler. Travis kicks it off with the first grip most people look to establish – the sleeve grip. There’s no grip breaking stone left unturned in this part of the Travis Stevens DVD. He covers grip breaks from cross grips, from neck grips, collar grips and much more. there’s also a great way to deal with stiff arms, which can be extremely annoying. The volume ends with an introduction to some of Travis’ own grip sequences, albeit attacking ones. he has a great take on the pistol grips from guard, as well as what he calls the Cat Paw Guard system. The third volume is where things get into advanced territory. It’s not that beginners won’t benefit from watching the whole DVD. However, they’ll probably miss the finer points of advanced gripping systems. This is the place where Travis also introduces some Judo concepts to the Jiu-Jitsu grip fighting game. And they’re nothing short of astonishing. Continuing from where the previous volume enTravisravis goes straight into the “judo grip guard”. This is an amazing take on how Judo grips can help you develop an impassable guard for Jiu-Jitsu. 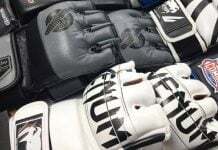 He also offers immense details on the collar, sleeve, belt, and C-grips. But that’s far from all. In the third volume, Travis covers common BJ grips like underhooks, and overhooks, but with a judo twist to them. There are also some things in there for No-Gi enthusiasts, like the Kimura grips, reverse Kimura grips and Wizzers. Finally, Travis goes into the deep as he brings this Travis Stevens DVD to a wrap. The last volume features anything and everything related to grips. 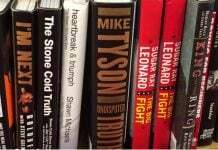 These, however, are really advanced concepts and principles, fit for purple belts and beyond. Some neat seat belt grip details kick things off before Travis moves on to scoop grips and 2 on 1 system. 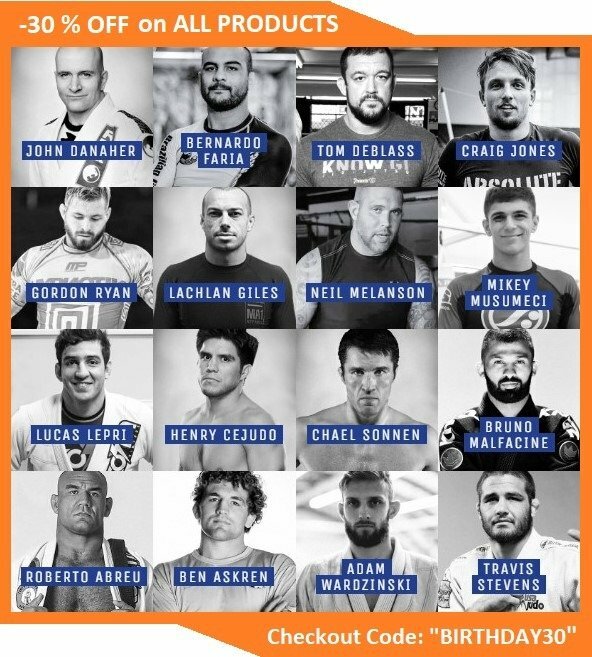 You might be familiar with them if you’ve seen any of John Danaher’s work. Body lock grips are also covered in depth here, demonstrating how they can be immense for BJJ. The claw grip features again as well, this time from a different perspective. Travis also covers rare things like inverted grips, Y-grips and C-grips. He also has complete systems for dealing with grips like the Cat Paw and Judo grip from the bottom. With this, he takes things full circle. As a big fan of Jiu-Jitsu grip fighting I highly recommend this Travis Stevens DVD as the best grip fighting guide ever made!